Do you need to “Let it go”? 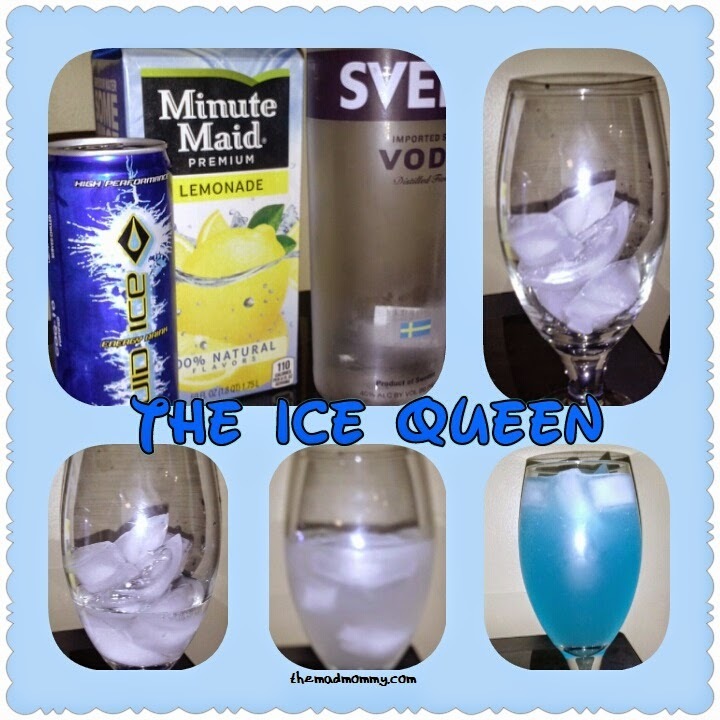 I think you should try The Ice Queen! I don’t drink alcohol very often, but sometimes a refreshing cocktail is just the ticket. I came up with this little gem while enjoying Frozen for the hundredth time. Add the ingredients to your glass in that order and prepare to enjoy an icy glass of deliciousness. 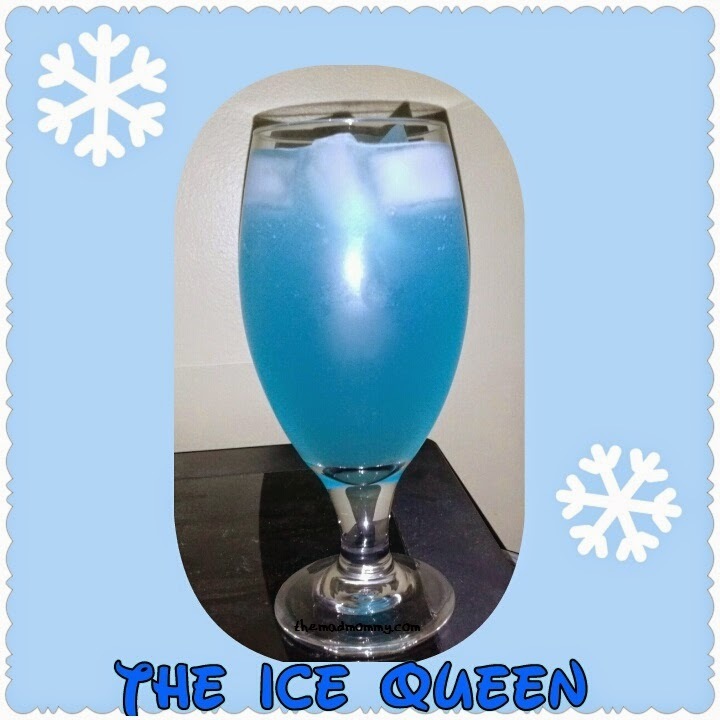 Now, if you don’t drink alcohol or have lots of kiddos to entertain, this can easily be made into an awesome, Frozen themed mocktail! Just exchange the vodka for a lemon-lime soda and the energy drink can be replaced by blue gatorade, powerade or kool-aid! Cocktail or Mocktail, which will you try? 5 Food Facts: As Told By My Kids! A mocktail is always need to compliment a cocktail when you have kids! Yes! I do love the counter effects! It is so icy cold and delicious! This sounds yummy and I love the color. Thank you for sharing. It is so tasty! Isn't the color gorgeous! I love the way it looks! I'm not a big drinker either, but this was DELICIOUS! That actually looks really really yummy! I'm not much of a drinker, but dang I want that! Cool!! Will be perfect for my kid's party…as a mocktail, of course! Smiles!! Have a great week! Yummy! Love the icy blue color (and we watch frozen around here ALL THE TIME too:) pinned to try. stopping by from snickerdoodle sun linky. Have a great week! It is so yummy! I highly recommend it! The mocktail is delicious as well! My kids loved it! We watch and listen to Frozen A LOT! hahaha! It is a delicious beverage! Too fun about the word Mocktail and I would try either. Very clever drink you made up, here'e to You! It is a fun word! Here's to summer! I may need this during our daughters Frozen themed birthday this weekend!! 😉 Thanks! Mix, Sip, Relax! Yeah baby!! This is perfect! It's tasty for those that don't drink often! It is a perfect summer cocktail! Make both versions! Cocktail and mocktail! For sure! I enjoyed linking up! LOL. I love how you said mocktail. That would be me. I have wine once in a blue, but I'm not an alcohol drinker other than that. It looks delicious! Thanks for sharing it with us at Countdown in Style! Good tip on an easy conversion to non-alcoholic 🙂 Thanks for sharing at #smallvictoriessunday ! Hehehe! It is quit delicious and doesn't have the strong alcohol taste! Thanks Kat! It is a delicious drink! Love the name, and the color. What a great concoction. Thanks for linking it up to Snickerdoodle Sunday. Looks delicious, Echo. That's a perfect way to enjoy the movie Frozen! Thanks for linking up with Countdown in Style. Sometimes, adults need treats too! I would probably try the mock-tail version. 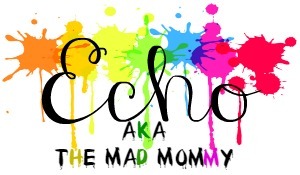 Thanks for linking up at the Ultimate Linky Party! The mocktail is delicious as well!